If you are a large-scale investor in precious metals, the 32.15 ounce 1 kilogram gold bar may be just what you are looking for. A single 1kg bar is the equivalent to a fairly large investment in gold and because it is just one single bar it is very easy to store in just about any place in your house. If you have ever seen bank heist movies, the 1 kilogram gold bars look a lot like the ones Hollywood regularly depicts in films. If you are new to precious metals investing it is unlikely that you would be interested or even able to afford a bar of this size as it is quite the investment. While it may seem like a gold bar of this size is the same regardless of what company mints it, that thought could not be more mistaken. There is a large difference between bars produced by different brands, even if the size of the bar is the same. Brands play just as big of a role in the world of precious metals as they do with foods and clothing. Just like some people prefer certain brands of shirts, other people prefer a particular brand or set of brands that produce 1 kilogram gold bars. The purpose of the following few sections is to help you understand everything there is to know about 1kg bars. Like touched on briefly in the previous section there are a number of different companies, or brands, who produce the 1 kilogram gold bars. This size of bullion differs from other large sizes because there are quite a few producers whereas some of the other, more obscure large bars of gold are made, or were made, by only one or two companies. Because of the recent skyrocket of the price of gold over the past few decades, producing large bars has become extremely expensive and they simply aren’t liquid enough to be a profitable business venture anymore. Unlike smaller gold bars, the 1 kilogram variety do not come encased in plastic for protection. Instead, these bars are shipped in heavy boxes due to their size. Smaller gold bars come encased in plastic because with bars that are as small as a few grams it is easy to lose them and damage them, with larger bars that is not so much the case. With that being said, it is still very important that you take extremely good care of your bullion, regardless of size. Gold is one of the softest metals in existence which means pure gold bars such as the 1 kilogram gold bar are susceptible to being damaged or showing signs of wear and tear. Even though wear and tear does not bring down the value of a bar to the same degree that it does with a coin, it is never a bad idea to just be careful. Once again, when talking about smaller sizes of gold bullion bars, the exact dimensions can change dramatically from company to company. 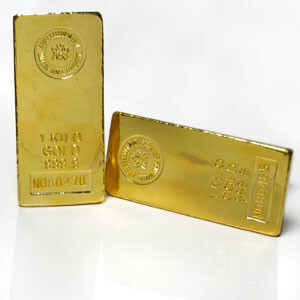 The one kilo gold bar, even though it is made by a large variety of companies, has fairly standard dimensions. You can expect your 1 kilogram bar to have dimensions as follows: 117mm long x 53mm wide x 8.7mm deep. Some bars may have slight variations as to the exact dimensions, but nearly every gold bar of this size is more or less the same. 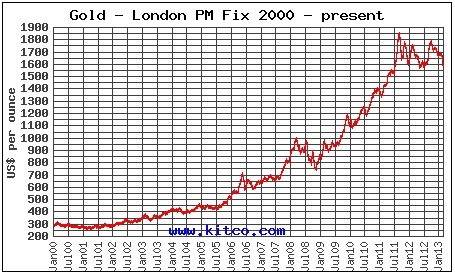 If you are unfamiliar with precious metals trading, the words ‘premium over spot’ may be foreign to you. A premium is the extra cost a precious metals dealer tacks on to your purchase to cover his business expenses and perhaps turn a profit for himself. The market value of gold is good for determining how much gold is worth at any given moment in time, your purchase of gold may not match up exactly with the current market value. If dealers simply sold their bullion at the price they bought it for, they would not be in business very long because all they would be doing was breaking even. The premium over the market value of gold you will pay depends on the quantity of your purchase, the size of your purchase, and what type of bar it is (brand). The more popular a bar is the higher its price over spot value will be, this is why abiding by just one brand may not be the most economical decision. When searching for the 1 kilogram bar or bars that may best suit you, you can expect premiums over spot value to range between $19 to $24. This is not a guarantee and you may find premiums that are higher or lower than these numbers, but more often than not you should not expect to pay any more than $25 over the market value of the gold in the bar. Of course, most sites offer a smaller premium as the size of your order increases.